HÀ NỘI — People require medical care even before they fall sick, said health minister Nguyễn Thị Kim Tiến at the opening of a training programme to improve the quality of local clinics and the country’s grass-roots level health care system, in Đan Phượng District, Hà Nội. The most troubling issue faced by clinics is patients’ lack of faith due to inadequate medical supplies, equipment and medical workers’ ability. As of now, the clinics also double as vaccination and nutrition counselling centres for local communities, but when it comes to more complicated tasks such as diabetic treatment and cardiac complications they fall short of people’s expectations. “On top of training courses to improve local medical workers’ capacity, we will be sending skilled doctors from provincial and national hospitals to work alongside them,” said Tiến. Also, according to the minister, the ministry is working on a standardised model for local clinics. Some 26 clinics in 8 localities across the country are part of a pilot programme to include acupuncture, massages, dental care, ultrasound scans, diabetic treatment and other services. “It is our expectation that the clinics will be able to fulfil their intended purpose as the country’s grass-roots level health care providers,” said the health minister. A host of other incentives are being implemented to attract patients to the clinics before heading to larger medical institutions, a problem which partly contributes to overcrowding at provincial and national hospitals. The ministry plans to increase their medical supplies, extend their working hours and pilot a programme to provide medical care at home where needed, as well as create personal health databases for local communities. An important function of local clinics is to serve as gatekeepers in the fight against non-communicable diseases. 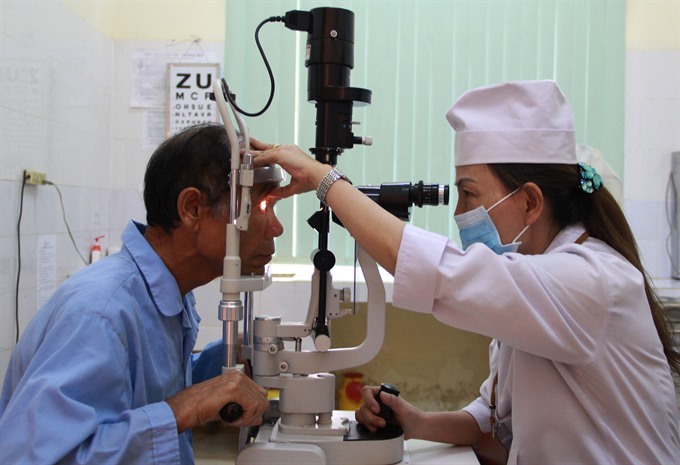 Improving the clinics’ capacity will be an effective solution to reduce the number of deaths caused by non-communicable diseases in Việt Nam, which total nearly 380,000 on a yearly basis, according to PhD. Jun Nakagawa, a representative of the World Health Organization (WHO). “The lack of health services intended to treat and prevent non-communicable diseases provided by local clinics is playing a large part in such a high number,” said Nakagawa. The WHO representative urged the ministry to grant greater financial support and autonomy, identify and focus on a few priorities instead of trying to cover too many objectives, make the prevention and treatment of non-communicable diseases a mandatory function for clinics and provide better financial incentives for medical workers. During the first stage of the programme, an additional 20 training courses are to be held at local clinics across the country. Leading experts in various fields will train local medical workers to build health databases, conduct regular health checks, early cancer detection, diabetic treatment, and services for cardiovascular diseases and senility, especially among elderly patients.